Kalifornia Love: Bubblegum Pinks: YSL FARD À LÈVRES ROUGE PUR Pure Lipstick in "Romantic Pink"
Bubblegum Pinks: YSL FARD À LÈVRES ROUGE PUR Pure Lipstick in "Romantic Pink"
The YSL FARD À LÈVRES ROUGE PUR Pure Lipstick in "Romantic Pink" had been on my list forever and I finally snatched it up way back in late April -talk about lagging on reviews! Anyways, lets just say it wasn't exactly what I expected.. The Product: First of all, the lipstick is a little out of my usual range and I do feel it's on the more expensive side. This is 30.00 for 0.12 oz whereas MAC is $14 for 0.10 oz and Shu Uemura is $23.00 for 0.13 oz. Right off the bat, I have to say this lipstick disappointed me considering how much I paid. While the slightly creamy lipstick felt OK on my lips (neither drying nor moisturizing), the texture was not forgiving to my slight lip dryness. I'd usually give a lipstick some brownie points if I give it a spin on a bad day (meaning my lips are super chapped) but I always tried this out on good days hoping that it would work. The lipstick wore for a total time of 2.5 hours (no eating or drinking) -not what I'd expect from a $30 lippie. My favorite part of the lipstick was the scent -sort of mango/tropical-ish to me. Also, there's SPF 8 in the formula which is nice but I don't feel it's enough -but at least it's something! The Color: "Romantic Pink" is a gorgeous, bright but soft, light pink with a slight shine. Above (no flash): YSL Rouge Pur in "Romantic Pink"
Overall: While the lipstick feels decent on my lips, it wouldn't hurt if it was moisturizing given the amount I paid. I hate the fact that it looks so dry and flaky on me. It would take some effort to make it work but for $30, I don't feel like I should have to put in any effort. The color is amazing but I feel it's something that's easily dupeable. The SPF 8 is also a nice addition but again, I don't feel that's enough for the lips -you'd still have to wear a lip balm (with SPF) underneath for better protection so there's no point in the SPF added really. I feel that this lipstick didn't live up to its $30 price tag and I could've gone out and bought a Shu Uemura ($23) or Shiseido ($25) lipstick and gotten more and better product for an even cheaper price. P.S. 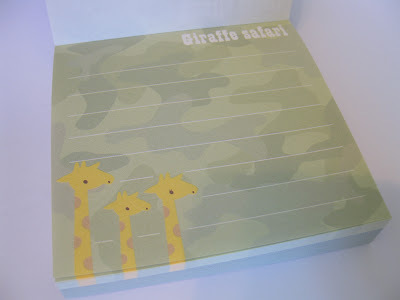 Check out the super cute notepad I found over the weekend! Anyone who knows me knows that giraffes are my favorite animal. Plus, it only cost me $1.50! This lipstick is so beautiful I was shockedto see the B-. But I see what you mean, it does exaggerate the flakes on your lips. I also have really dry/flaky lips so this probably would also not bode well. So can you return it, or do you have to keep? Aaww, those note pads are too cute! 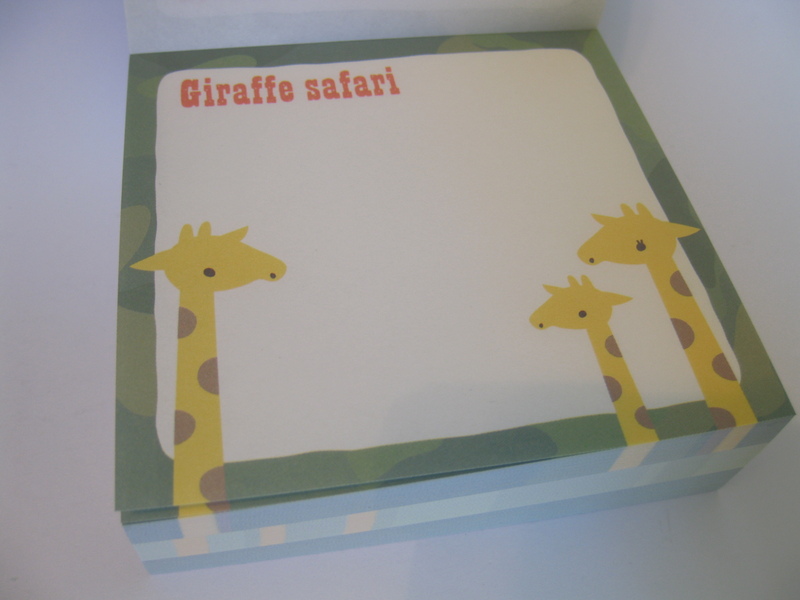 I like cute little stationery stuff like that. And oh my, the classic case of "love the color but..." Oh well, on to the next! @ PAG.. Well to me, it's still "above average" (average is a C) since it doesn't dry out my lips -but it LOOKS dry! =( But I guess we both suffer from dry lips syndrome. I actually returned it! I feel bad for returning but come on if I'm going to spend $30 on lipstick, then I better be able to use it. Other lipsticks like around $20 and under, I don't bother with returning. @ Renay Shanel.. Thanks. And me too! Don't you love pink?? Ah yes.. color's awesome but not to crazy about the formula. I swear my room looks like a safari with all the leopard/tiger print in here. Plus I collect elephants. 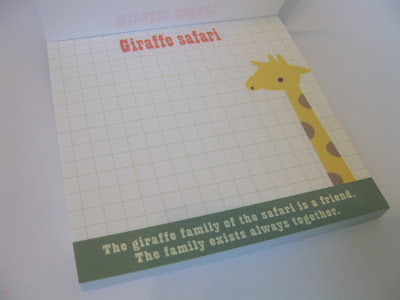 Giraffes are super cute too, I need to get atleast one for my room now that I think about it. I hate YSL lipsticks, they feel so creamy, but they make every crevice of my lip show, and my lips always look chapped after wearing them. I actually think the SPF drys the lip out throughout the day. Plus, the texture is awkward. I couldn't agree with you more on the packaging too, it's tacky. Before I apply it though I wear a lip balm, it helps with the texture, but not with the wear. cute graffe notepad! and yeah $30 is quite expensive, and you're right the cover does get all dirty with fingerprints! even though it looks great in ads and commercials when you actually use it it's not as pretty of a packaging! 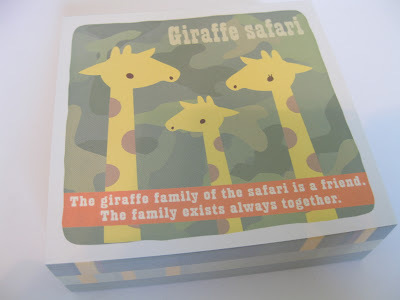 @ Laura Beth.. A safari?? That's awesome!! (I just bought some leopard sunglasses.) That's so funny that you collect elephants since I sort of collect giraffes. And you definitely need a giraffe for your safari-themed room. 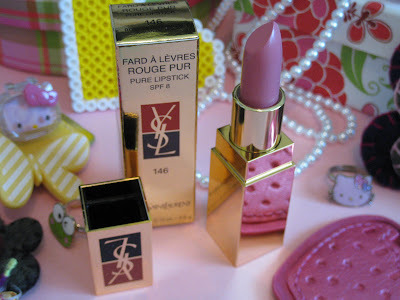 I'm glad I'm not alone about YSL lipsticks. It definitely helps to wear a lip balm but you're right, it doesn't do much for the wear. @ Pop Champagne.. Thanks dear. =) And I am soooo turned off by "fingerprint" covered packaging.